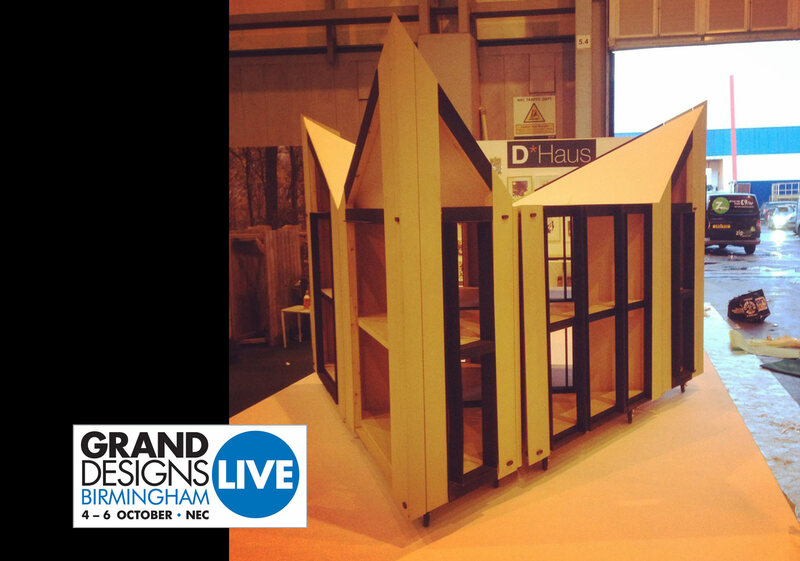 We have been invited up to the Midlands to join the GRAND DESIGNS Trade show! cant wait to see you all up there, old friends and new! The D*Dynamic takes the concept of the volumetric building to another level. Factory to site buildings have been done before, and even buildings intended to be moved from site to site, but the D*Dynamic is designed to move on its own site without crainage, whenever the owner requires. The need to keep the structural integrity during movement therefore governs the design. The trick (as with the D*Haus concept) Lies in the geometry, in this case using simple static principles to minimize the forces on the hinges and on the supporting tracks, and ensure all the elements have sufficient stiffness to maintain rigidly when in motion. The house is a product of an applied mathematical realisation. Thus from a manufacturing point of view the design deploys only one set of materials to achieve the flexible possibilities which its design invites. This means that less waste is produced during the manufacturing process, and from a mass-production point of view, D*Dynmaic offers savings in both time and materials. At Grand Designs Live, they will build a bespoke Scale Model 1:5 which will be about head height and has never been seen before. The House is a real show stopper and hugely interactive while being sustainable and has its routes in mathematical modular architecture.